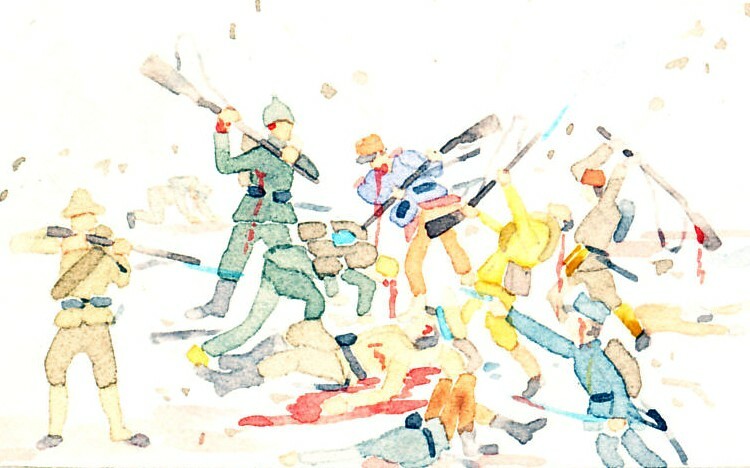 In the First Balkan War (October 8, 1912 to May 30, 1913) Greece, Bulgaria, Montenegro, and Serbia united against the Ottoman Empire, defeating it, and shrinking its foothold in Europe. Montenegro expanded to the east. 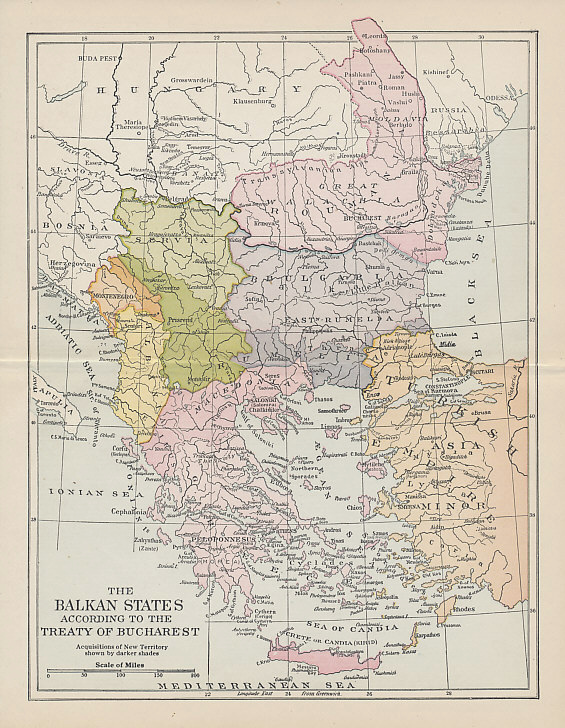 Bulgaria expanded southward into Macedonia and Western Thrace. Serbia gained significant territory and population to its south. Greece expanded north into Macedonia and added the island of Crete. Imposed by the Great Powers, the Treaty of London satisfied few of the victors. Serbia, Montenegro, and Greece lost Albanian territory they had occupied. Unwilling to give up more, Serbia refused to honor a secret pre-war agreement with Bulgaria on the division of Macedonia. Serbia and Greece instead made a separate agreement on the conquered territory. Concerned about Bulgaria's response and its intentions, Serbia and Greece signed a defensive pact against Bulgaria. After border skirmishes in early June 1913, Bulgaria began the Second Balkan War on June 29 by launching offensives against Serbia and Greece. On July 10, Romania, which had no common border with Turkey, and had not played a role in the first war, attacked the Bulgarian rear from the north. Two days later, Turkey crossed into territory it had lost to Bulgaria in the first war. Surrounded, outnumbered, and with Romania threatening its capital of Sofia, Bulgaria agreed to negotiations that ended the war. Bulgaria, Serbia, Greece, and Romania signed the Treaty of Bucharest on August 10. Bulgaria and Turkey separately signed the Treaty of Constantinople on September 30.